A member of the Achievement Training team, Tracy has a depth and wealth of industry knowledge following 16 years + within the further education sector. Working mainly within the work-based learning / Apprenticeships arena, she has built up an enviable network of industry contacts across a number of sectors, and has an excellent working knowledge of direct SFA contracting. 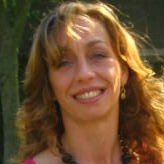 Responsible for the business development and marketing functions within Achievement Training, Tracy is a strong advocate of using digital platforms, and has seen huge benefits in using new technologies in both the teaching and learning functions, and within general business management. Passionate about supporting employers and in helping young people achieve successful outcomes, she is excited about the period of change being brought about the Apprenticeship Reforms and is keen to use her skills and experience to support the DCTPN Board as it moves into a new phase. Tracy joined the DCTPN Board in January 2017.